It has been way too long since I ordered from Alchemic Muse. 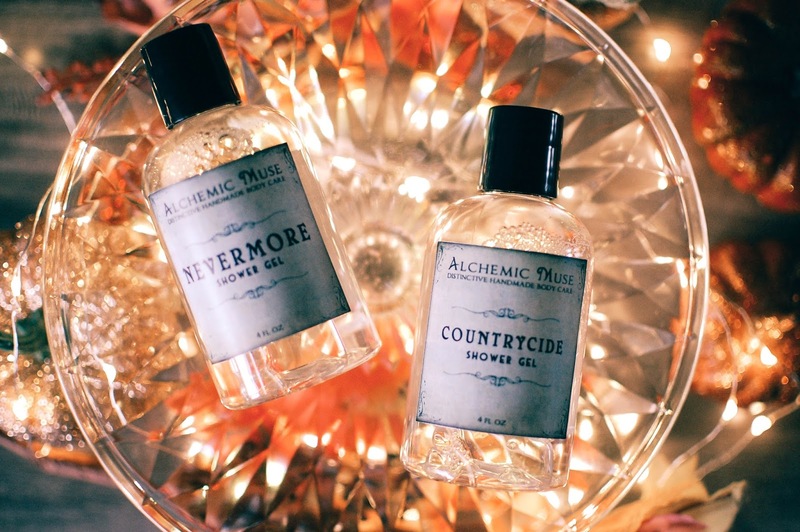 Ages ago my friend Lynda told me about the gem Countrycide, so I picked it up, and a sample of Bad Wolf hit my nose then too, here is the review I did on those scents way back when. So I would say a 3 year time lapse is quite long enough. Once I saw Alchemic Muse stocked some fall goodies I hit the store running hard. I bought a foaming body scrub, shower gel, hair mist and body whip all in the scent Bad Wolf. 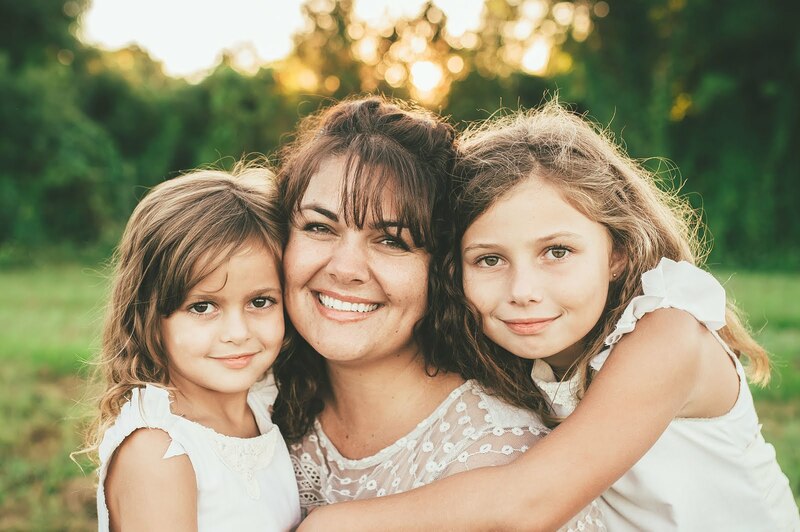 The hair mist ($8.50) works as a detangler, which my girls love as it works wonderfully (if you want to hear dramatic prose at its best... brush either of my daughter's tangled rats nest), and as a scented primer to use before styling to tame frizz. I used it on damp hair and added my usual gel over it and my curly frizzy fly aways stayed at bay longer than normal. I look forward to experimenting with it more. What a splendid, plump, dark fruity scent. Years ago, the scent in soap form hit my nose with more of the woods and sweetness. I am loving Bad Wolf even more this year. In the lotion, scrub, hair mist and shower gel Bad Wolf boasts a melange of dark berries dripping juice and sweet ripeness backed with woods and black vanilla bean pods. I really am loving this scent for fall as a nice break away from apples and pumpkins. It smells like deep fall. Beautiful and ripe in its fullness. The body whip has a great formula that is not greasy or waxy but a nice light custard that sinks easily into the skin and feels nourishing. And I must say the name Bad Wolf always makes me think of Doctor Who and Rose so that pleases my geeky soul as well. 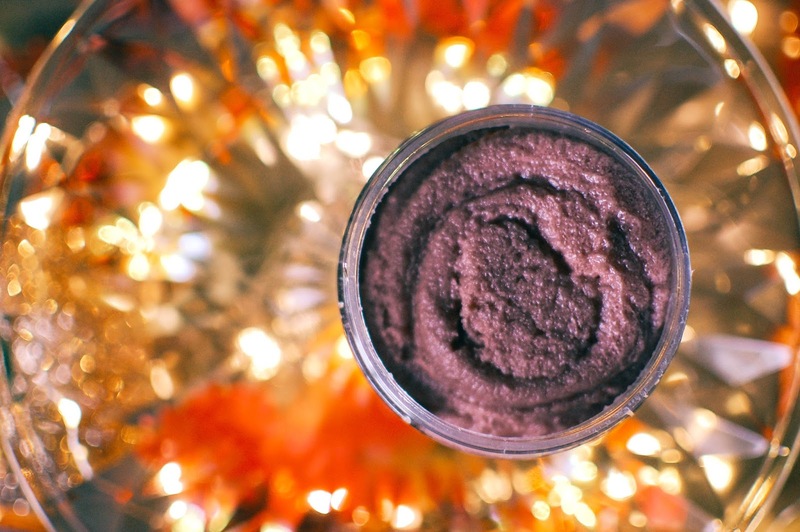 Alchemic Muse's Foaming Body Scrub ($10) formula I am pleased to say is fabulous. My standard for sugar scrubs is The Bathing Garden. I like a thick, dense, nicely scrubby formula that is not harsh or course or sparse and easily dissolved. Alchemic Muse has a very similar feel to The Bathing Garden. It is packed with sugar, thick and to top it off... foaming! Rubbing and scrubbing and massaging the goods into my skin creates a bountiful foaming and bubbling soapy experience along with the exfoliation. I am thrilled I picked up more scrubs given how much I enjoy the results. Nevermore- Notes: Dark and beguiling... dusty casks of warm blackberry wine laden with wild herbs and acrid tea leaves amid whispers of warm skin musk, crackling firewood and a somber touch of freshly dug earth. I simply cannot resist a Poe reference but add in those notes and I am doubly sold. First and foremost this is another brilliant dark fruit scent like Bad Wolf but where Bad Wolf brims with vanilla and woods in the berry sweetness, Nevermore haunts with a hearth-side sangria specter, ghostly, lightly smoky and intoxicating. I love it. Vanilla Oak- Notes: Flighty top notes of bergamot, camphor, cassia root lead to a heart of smoky vanilla-tobacco and warm spice grounded with aged oak, soft amber and frankincense. This one makes me swoon because it smells extremely similar to my beloved Serge Lutens Bois de Vanille. A smooth blend of vanilla woods and that rich tobacco and glowing amber. Don't let those top notes fool you... there is not one lick of harshness or herbal tones to this. It is all a refined candied amber vanilla woods. I think I need this in a body whip and hair mist pretty soon. If you like Bois de Vanille, you need this in your body care stash. I am excited about the shower gels ($8.50). I tend to use these as bubble bath products and they work incredibly well for that. A 3 second squirt generates a plethora of bubbles across the surface of the water. Countrycide- Notes: A crisp veneer of of sweet, earthy autumn leaves with top notes of green fig, bergamot, golden hay and dried flowers masks a darkened heart of musky clover, caramelized benzoin, beeswax and black vanilla absolute. At the center a corrupted foundation of bitter almond, tonka bean, gaiacwood and sandalwood, waiting to be revealed. It is just as lovely as I remembered. This is more of an authentic fall foliage scent. This is the heart of the leaf pile that children and pups plunge into with abandon. This is the autumnal stroll lovers take under arching maples and sycamores. Running over with crisp leaves, sweet hay, damply fecund soil and a subtle sweetness of fall fruits, this scent will conjure images of fall's finest offerings. 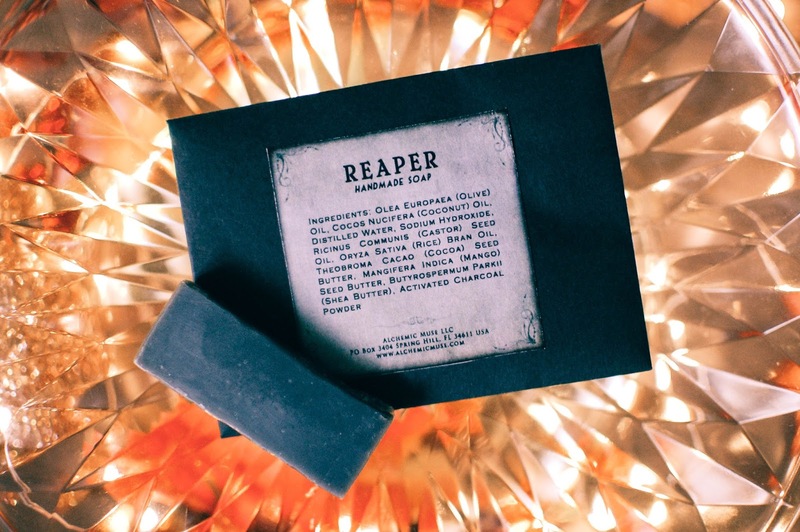 Free sample soap sliver in Reaper was generously added to my order. It may be my next purchase as well as more Vanilla Oak. Reaper is a another version of darkly sweet fruits, but rich stewed apples this time with soft spice and woods and earth to round it out. My Alchemic Muse order has me in raptures of fall colored fragrance. I can promise my next order will not be three more years down the road but much, much sooner. 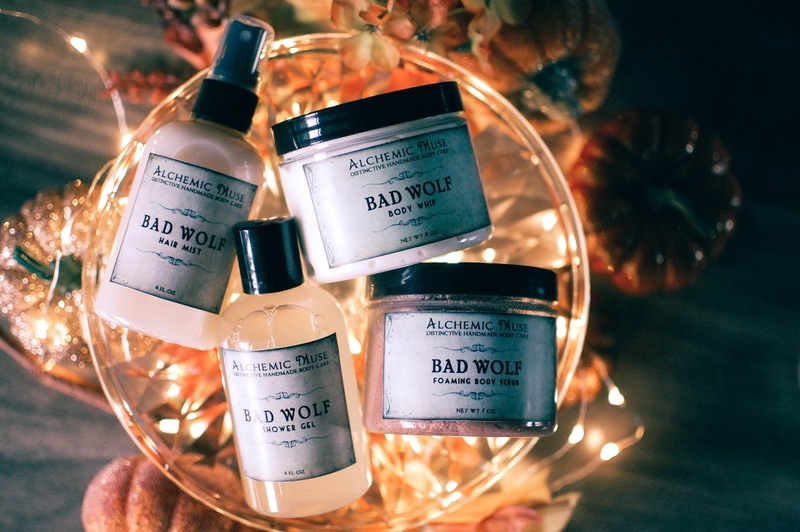 Do you have any Alchemic Muse favorites? What are you bathing and exfoliating with as of late? 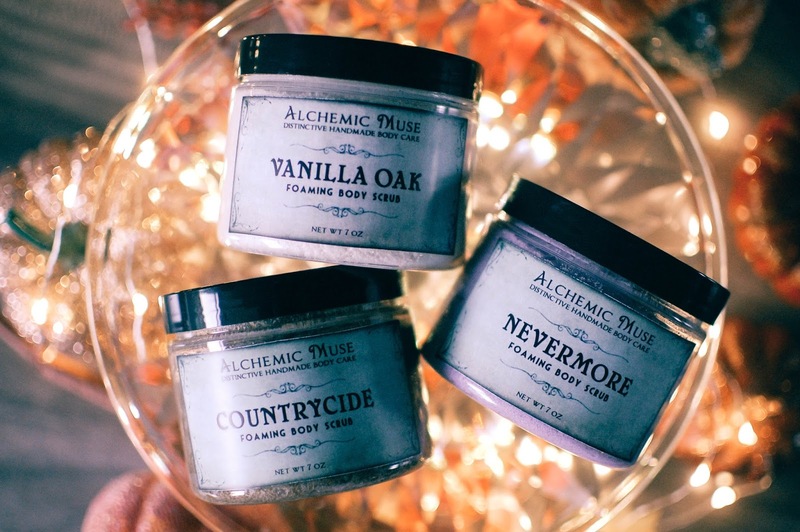 As much as my taste runs to fall type scents, the three Alchemic Muse body whips I have are all from the summer catalog. Waikiki, Chiquita and Pineapple Whip. I like them fine,but it blows my taste profile all to pieces. I keep meaning to try the fall line, but I never get around to it. Pineapple Whip sounds interesting for a summer scent. Yum. And I am not really a pineapple person either. Fall scents are the only ones I have tried. I may try to do some winter scents this year. And I will be back to try her summer offerings. Thanks, Abby! Hope you are doing well! I looooove Alchemic Muse since I discovered them about 2 years ago! I've tried many indie bath and body companies afterwards and AM remains my top choice. I love their scrubs, whips, hair mist and bath melts. My favorite scents at the moment is Lovecraft and Nightshade. What a good idea to use the shower gel for bubble bath! I will have to copy you for the summer when her bath melts aren't available. I can see why AM would be your go-to bath vendor. She offers all the body care items in great quality and the perfumes to go with them. I have not tried the perfumes yet. But I will eventually. Especially Bad Wolf. I am such a bath nut. I like to have salts, bubbles or something going on in there. <3 What are your favorite AM scents? Alchemic Muse was one of my first indie bath and body purchases and I still cannot find a pumpkin-lavender scent I love more than Lovecraft. Other favorites from her are Phantasm, which I think is now sadly discontinued, Hearth from her winter offerings, and Gluthwein which is another winter scent. I haven't ordered in a long while but I think that may soon change! Alchemic Muse might be my most favorite indie perfumer! These scents are different, but usually not in a way that has those around you wondering what smells "bad." 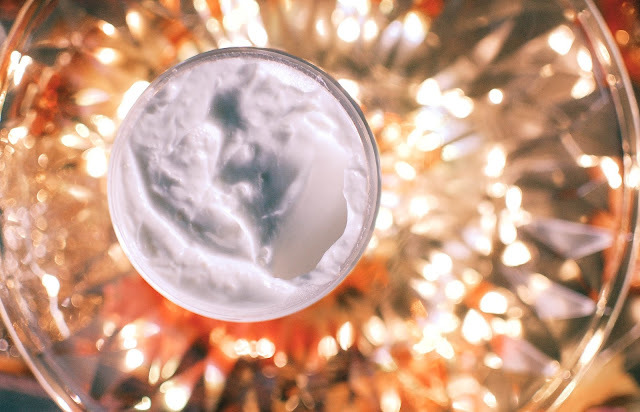 Which is my experience with some indies...I really love a lot of AM's scents, most of all my favorites that I had to order full size being Wanderlust, Cocoa Bee, and Countryside! But definitely, I could list off another round of sample vials I have held onto because I really like them too....like Bad Wolf, Dreamcatcher, Lovecraft, Nightshade, Carnival, Pineapple Milk, Sumatra....I am going to miss the smaller sized scrubs and lotions that she discontinued, because that was how I sampled a lot of scents. Now I just order the vials. One of the best things about AM is super fast shipping, freebies included, and great communication! Okay, I guess that was 3 things....:-) Highly recommend! You have convinced me to get on it and order an actual perfume from AM. I have tried just about everything else and loved it so a Bad Wolf perfume should be had too I think. I will have to check out Wanderlust and Cocoa Bee as well as some of the others you mentioned. Thanks! And I agree... I highly recommend AM as an indie bath and body source as well. Thank you for stopping by, it was nice to meet you!